Также мы выделили несколько нюансов, которые показались нам спорными. Самое главное – это весьма скудный набор интерфейсов. Конечно, наличие портов USB нового поколения в количестве 2 штук – это прекрасно, но все же хотелось бы увидеть и что-то более традиционное. Второй минус – отсутствие подсветки клавиатуры. Как ни крути, а с нею удобней. А вот стоимость лэптопа – $1500 за описываемую комплектацию мы оставим на ваше усмотрение. Es gibt nur sehr wenig Negatives über das Acer Swift 7 zu sagen und dafür sehr viel Positives. Allerdings muss man hier vieles in Relation setzen, was das Acer Swift 7 erreichen will: Ein wirklich herausragendes Design in Verbindung mit hoher Portabilität. Natürlich letzteres in Form von Akkulaufzeit und Kompaktheit. 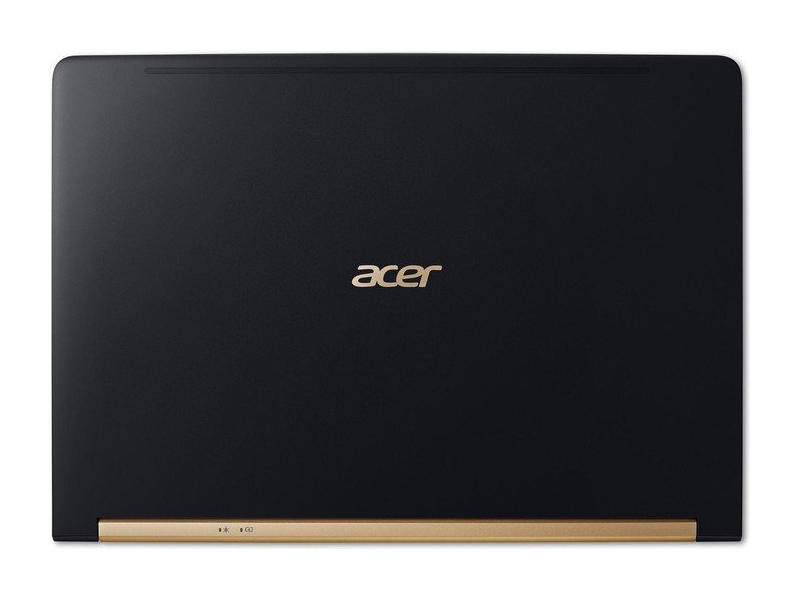 Und beides erreicht das Acer Swift 7 in einem wirklich sehr hohem Masse. Not only is it faster and thinner than the competition, it’s also very competitively priced, basically equal to that of the Razer and XPS 13 when they’re similarly specced. As a result, we have to give the nod to the Swift as arguably our favourite new Ultrabook, though we would love to see a larger SSD and touchscreen in future. 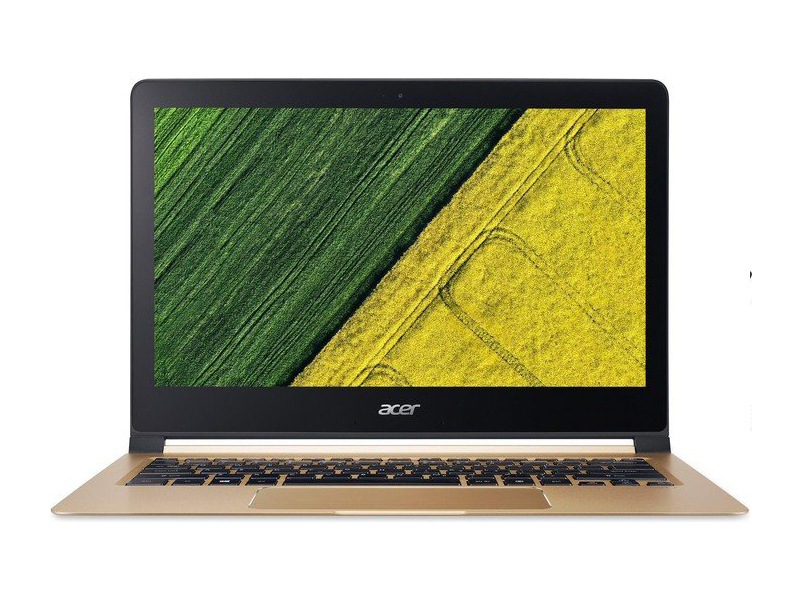 Acer is selling the Swift 7 in select stores and on Flipkart at Rs.99,999, making it line up against the Dell XPS 13 and the HP Spectre 13, both of which have now been refreshed with Kaby Lake Core i5 processors but cost around Rs.10,000 more than their original prices. All things considered, you're probably better off putting in that extra money and buying either the Dell or HP. This doesn’t mean the Swift 7 is a bad product but we feel that it simply isn't competitive enough. Not only is it faster and thinner than the competition, it’s also very competitively priced, basically equal to that of the Razer and XPS 13 when they’re similarly specced. As a result, we have to give the nod to the Swift as arguably our favorite new Ultrabook, though we would love to see a larger SSD and touchscreen in future. 80% Acer Swift 7 review: Has Acer finally cracked high-end laptop design? The Acer Swift 7 is one of the thinnest laptops in the world, and it costs a bit less than some in this class. Add a good trackpad, a decent screen and a solid-if-shallow keyboard and you have a great ultra-portable machine for work and the sorts of time-wasting most of us do on our laptops. The Acer Swift 7 is shown on the Acer website for $1099, but Amazon is currently selling it for $999. As its top-of-the-line Swift computer and for the price, I was a bit disappointed in the i5 processor. This laptop ought to have an i7 processor. The Acer Swift 7 is a tough proposition for me, but if the world’s slimmest laptop catches your fancy, and you don’t mind the Swift 7’s “okay” battery life and somewhat limited processing power, it is a mighty fine option. It’s not a laptop I would personally buy, but it’s definitely one I enjoyed using. We don’t think the Acer Swift 7 will let users down when it comes to durability though. The laptop is much sturdier than its thin design portends and it is quite attractive in our opinion. It should hold up to the bumps and bangs of daily use just fine, and will looks good doing it. Buyers who are looking for a stylish laptop for casual use or light business duty should be satisfied with the Swift 7’s staid performance, and will likely appreciate its relatively affordable price point and dig its good looks and strong battery life. We like the Swift 7, as we liked the HP Spectre and Asus ZenBook 3 before it. Each challenges the Apple MacBook with extra functionality or performance. The Acer's tepid test results, however, keep it from claiming an Editors' Choice. The Acer Swift 7 is a great piece of equipment or jewelry. It’s absurdly thin, light, compact and portable. It will serve you well during the day with good battery life, enough computing for browsing, office work and multimedia. Speaking of which, the screen offers excellent properties – it’s crisp, bright enough for indoor use, vivid and uses PWM only below 17% brightness making it virtually harmless to your eyes. Acer's new Swift 7 almost nails it in every aspect, be it design, performance or the battery. If you want a powerful crazy thin laptop, the Acer Swift 7 is your best option. Of course, the Rs 99,999 base price is a bit high, but you're getting the slimmest laptop in the world with the latest processor out there. 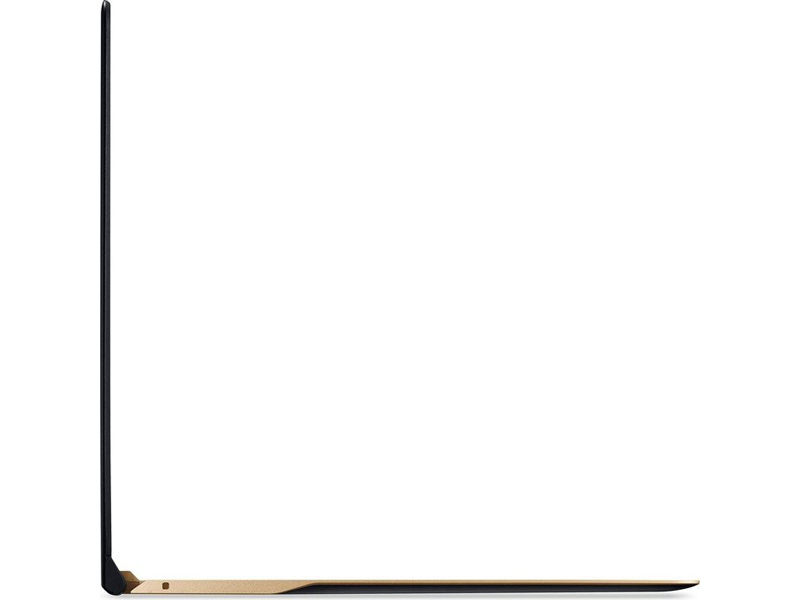 Acer Swift 7 is incredibly slim. If portability is the biggest consideration, this ultra-thin book is a solid choice. However, if you are looking for great device performance without caring about how thin it can be, there are better options for that. Other complaints may seem minor, but are still worth noting. Foremost, the Swift 7 is also missing a touchscreen. (You only miss it when it’s gone!) And under load, portions of the chassis can get scorchingly hot—particularly the bit directly above the keyboard. Finally, while the four-and-a-half-hour battery life isn’t appalling, it’s a lot less than the “up to 9 hours” Acer promises. The Acer Swift 7 takes its place as the current thinnest Windows laptop on the market. While it has impressive battery life and a beautiful screen, you have to make compromises to get them that you don't with rivals like the HP Spectre 13 and the New Razer Blade Stealth. If you're willing to give up a bit of performance for ultimate portability, the Swift 7 is a good choice, but at this price point, we'd recommend instead getting something with a more powerful processor to help keep the laptop feeling faster longer. It's hard to argue with a 13-inch laptop under 10mm thick. The Acer Swift 7 wins on that front, but other laptops offer more power and features while adding just a few millimeters of bulk. Choosing the Acer Swift 7 (SF713-51-M90J) as your next ultrabook makes sense if neat looks, decent performance and high quality screen are things you value. This computer can do everything for a compact laptop seeking patron, run his YouTube videos, MS Office and even image editors on the go. Indeed, it’s truly a portable notebook with the 13.3″ screen and 2.5 pounds weight. Apart from gaming performance the laptop is all solid, so do check it out! Acer’s Swift 7 has a lot of competition, and at $1,100, it’s not a bargain. But the Asus Zenbook 3 is the only competitor in its category that we’d buy instead, and even there, it’s a question of priorities. The Zenbook 3 is smaller, yet faster. 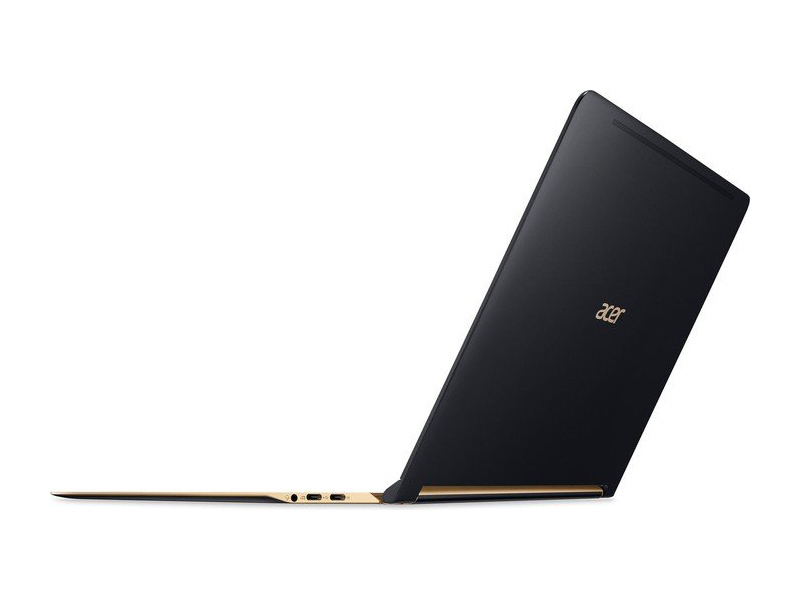 But the Acer Swift 7 will keep working after the Zenbook’s battery goes flat. 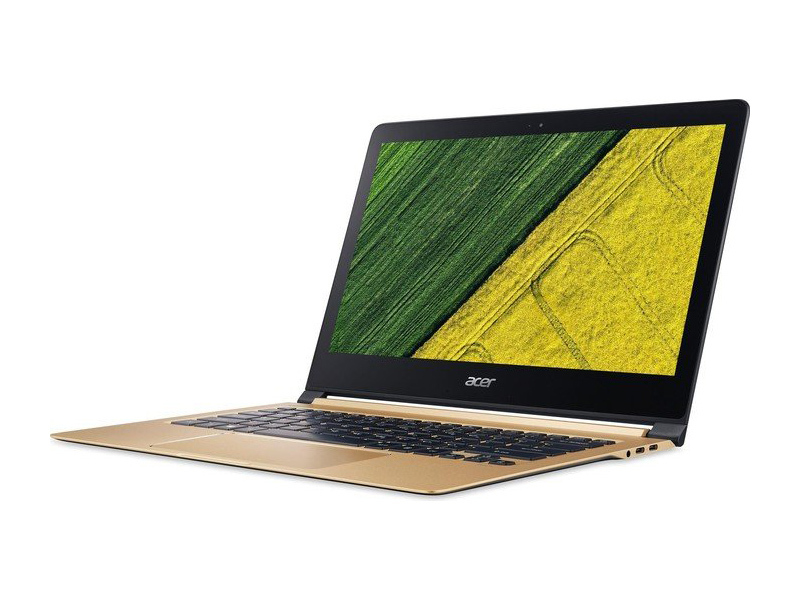 Acer missed a golden opportunity with the Swift 7. The $1,099 laptop is one of the prettiest, thinnest laptops I've seen this year. And while it has a lovely display and lasts over 7 hours on a charge, this beauty is lacking in the brawn department. 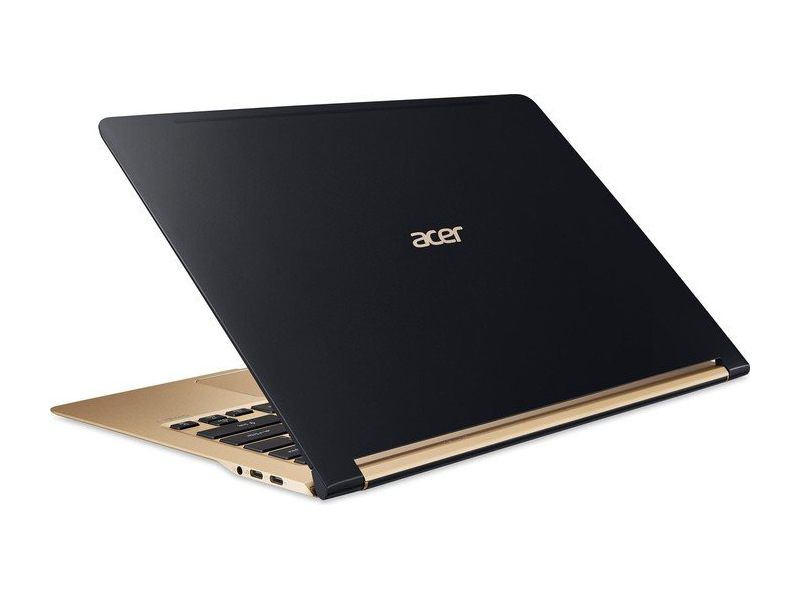 The Acer Swift 7 is advertised at the thinnest laptop out there at the time of this post (September 2016), and despite that, it's actually very well built and packs solid features. However, I feel that its footprint, keyboard, IO and even screen and battery life were sacrificed in one way or another to meet the sleek aesthetic requirements, and I for one am not happy with the trade. Read on to find out more. Intel has slipped its 7th-generation Core i-series processors under the hood, and it claims that there's enough internal juice for you to play Overwatch at Full HD with fluid frame rates without the need for a discrete graphics chip. With a launch price of €1,299 in Europe (around £1,326 inc VAT), presumably for a Core i7 model, this is an expensive machine. If this turns out to be an accurate specification and price, the Swift 7 will offer better value than the 12-inch MacBook but will be more expensive than the powerful HP Spectre 13. Ist das Acer nur ultradünn oder auch gut?